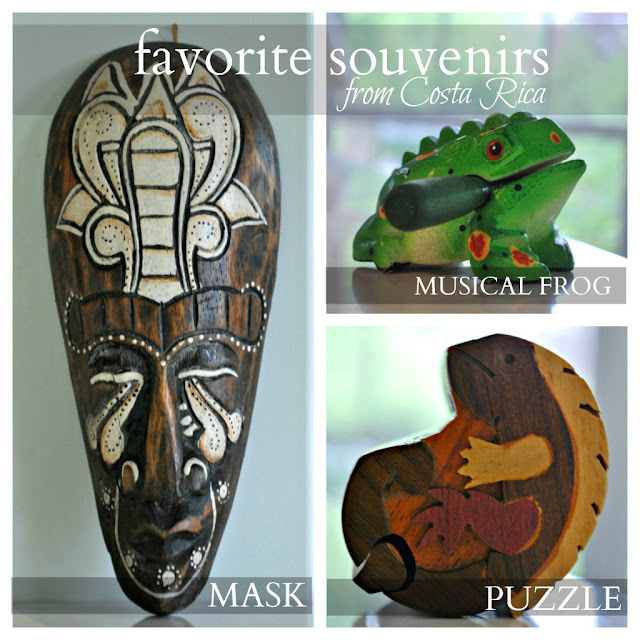 We recently traveled to Costa Rica and brought back some fun little souvenirs to remember our trip. Since we left our little ones at home, it was important that we bring back a few goodies for them. At a small strip of shops along the beach, I came across the fun little musical frog. If you remove the stick from his mouth and run it along the bumps on his back, he creates an authentic sounding croak. My kids love it, and have already rubbed all the paint off the top of the bumps from so much use. 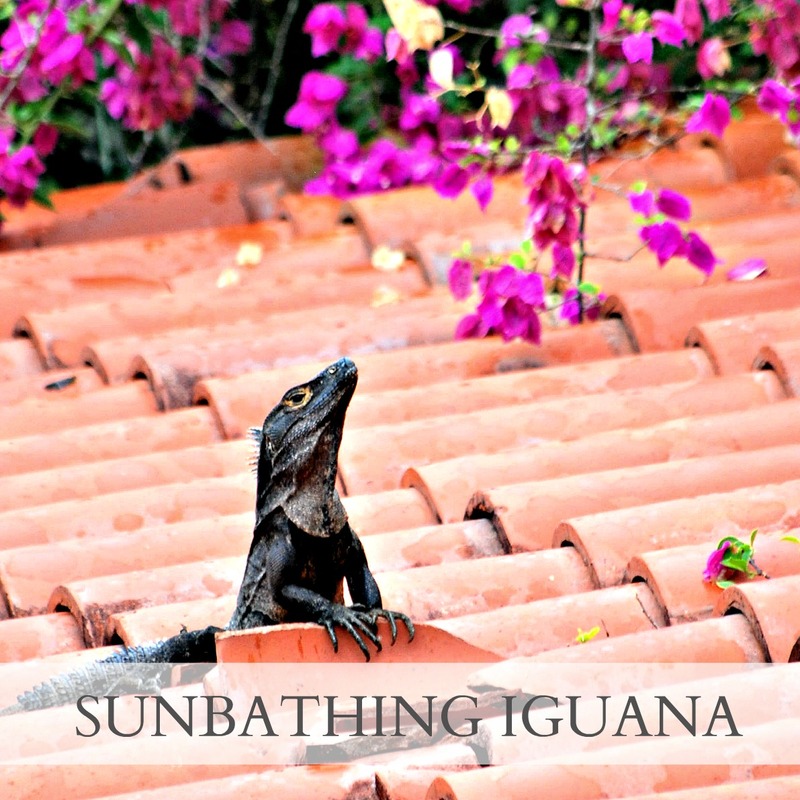 The iguana puzzle is representative of this sunbathing iguana we observed sunbathing on the roof every morning. 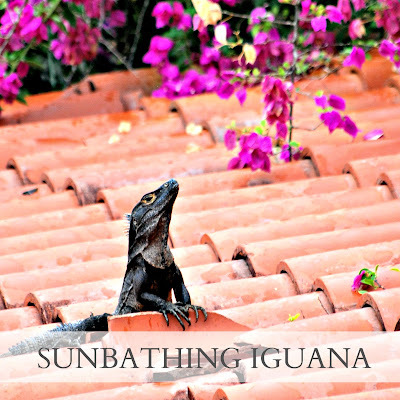 This wooden iguana also houses a small, secret stashing spot. A few years back I started collecting nativities. 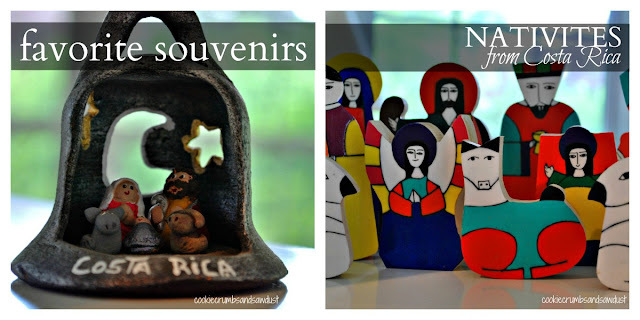 Through my own travels and those of close family members, I now have a small collection of international nativities. I'm fascinated by the different interpretations of the same event. Since I know my children love to rearrange them, I selected two nativities that will tolerate their sometimes clumsy little hands. The brightly colored one is made of wood and can withstand lots of Christmas-time rearranging. Photographs of where we stayed, posted here. What criteria do you use when selecting souvenirs? I love the musical frog and nativity sets you got! I totally agree with you on the ways of selecting them, plus I only stick to getting just one or two items! We are the same way...try to find things that are unique to that culture, made there, serve a purpose in our home and remind us of the time spent in that country/region. That is a fantastic collection, decorative and meaningful, I love them especially the mask, what a focal point! Thanks for linking up to the party today, so much fun! I adore the frog. I also love the idea of collecting nativities. What a beautiful and meaningful souvenir.